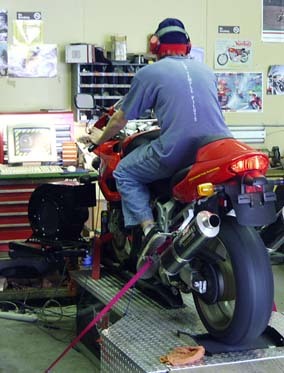 We have 2 full-time mechanics who can work on just about any machine you have, even Harley's and British bikes. Our labor rate is $70.00 an hour. Tire mounting and balancing off the bike: $24.95 if we supply the tires. $39.95 if you bring the tires. However, if you bring your bike in, the mounting prices are the same, we just have additional labor for removing and re-installing the wheels. It varies from bike to bike.